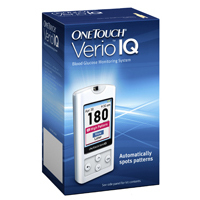 Blood glucose meters, diabetic test strips, lancing devices, and lancets are medical tools that enable you to self-monitor your blood sugar level. Disposable lancets are used to pierce your skin and obtain a single drop of blood as a sample, which is then placed on a disposable test strip that you insert into a glucometer to calculate your blood sugar level. 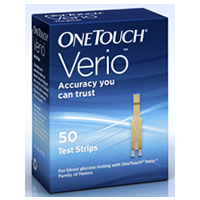 There are many different blood glucose meters and test strips available. Which you choose will typically depend on the features offered. Glucometers come in a range of sizes with various memory capabilities for storing test results. Some produce audible sounds for those who have vision problems. Others allow you to download test results to a computer while many now feature Bluetooth® wireless functionality.